My interview and Premier with BreakThruRadio made it to the front page! Read the behind the scenes on the artist, the creative process that went into "Party Trick" and listen to the featured single. "LOUIZA, oka SF by Oakland artist Rebecca Mimiagia readies the Tiny Telephone recorded album Party Trick & shares the single “Leash on a Tiger” that moves in manners of surprise & fascination at every turn. 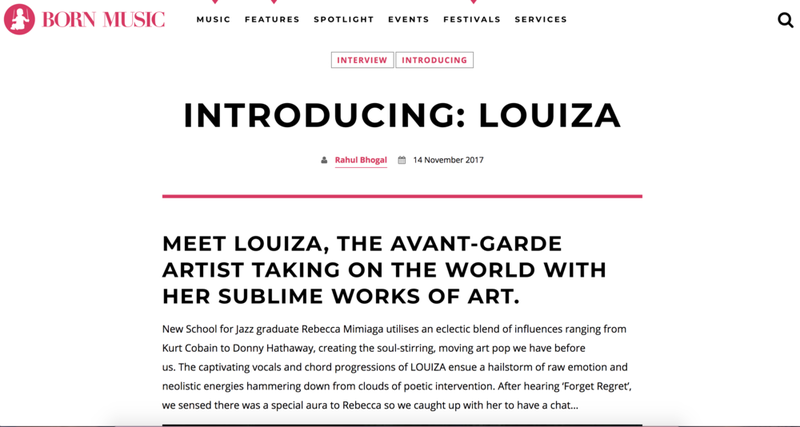 With unexpected items awaiting with each note, LOUIZA channels a plethora of musically minded cues to make for an economic/minimalist execution of intrigue." 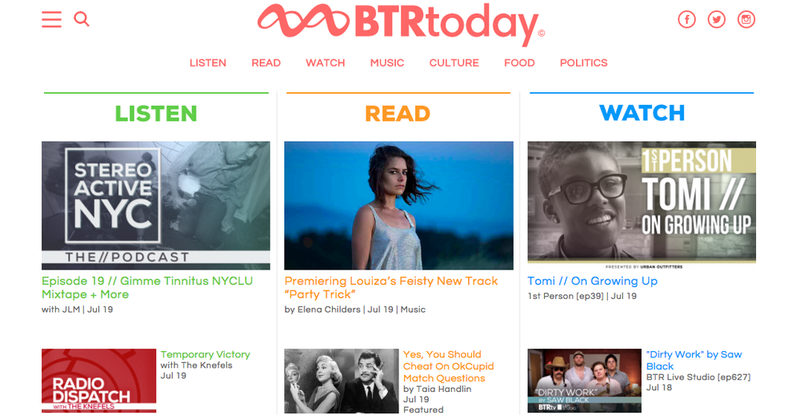 They Loved my interview with BTR and put it on the front page of their blog. "Mimiaga’s contemporary jazz influences shine through on the single like a prism being penetrated by light from every angle, making it impossible to ignore her delicate yet haunting vocals. They produce that melancholic feel grunge brought to the world we are all so familiar with, evoking emotions that aren’t overtly happy or sad..."
"Crunchy guitars, bubbling basslines & pummelling drums – it is topped of with pristine vocals, for a gloss of pop sensibility. As ‘Party Trick’ bubbles and bounces, these pristine vocals grow in aggression and strength to leave their mark. A powerful song, and one that certainly leaves its mark." 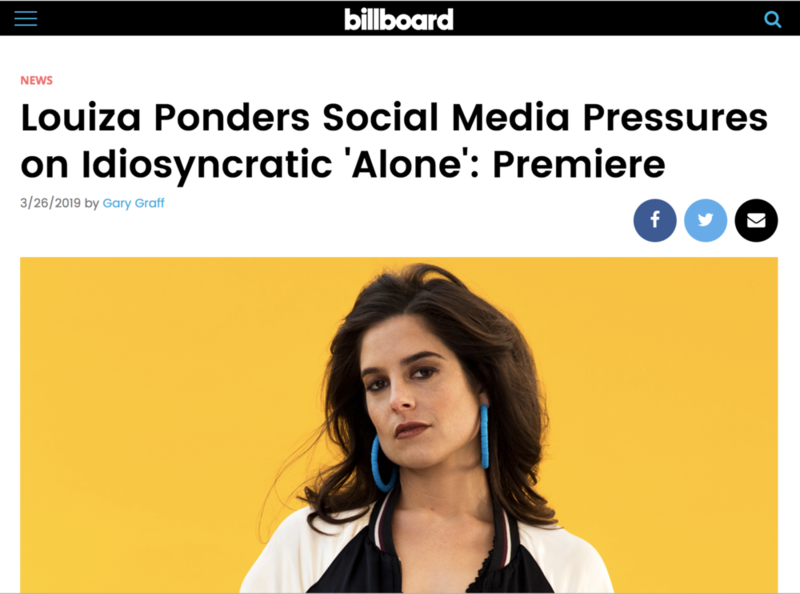 "A pop debut shimmering in quality, Party Trick emulates the unique tones in Louiza’s voice. Summer instrumentals bring back beach vibes to the chilly inclination of fall. The title track analyzes a party argument; growing in anger as the song progresses.."
"“Leash On A Tiger”, which recalls the wild style of Tune-Yards. Listen to “Leash On A Tiger” via our premiere below..."